Worries about healthcare expenses may limit calls to 9-1-1 for suspected strokes on the southside of Chicago. While stroke knowledge was similar between neighborhoods, perceptions and attitudes differed by geographic regions in the city. LOS ANGELES, Jan. 24, 2018 — Ambulance charges may limit willingness to call 9-1-1 when people experience stroke symptoms in south Chicago, according to preliminary research presented at the American Stroke Association’s International Stroke Conference 2018, a world premier meeting dedicated to the science and treatment of cerebrovascular disease for researchers and clinicians. Stroke outcomes can vary dramatically among neighborhoods in the city of Chicago, Illinois, researchers said. In this study, researchers analyzed responses from a survey of 364 Chicago residents to assess stroke knowledge, self-efficacy and barriers to calling 9-1-1. Responses were separated into those from the north side (199) and those from the south side (165) of the city. The north-side residents were more educated, while the south-side residents were more interested in participating in stroke education programs and had visited hospitals and doctors less frequently in the recent past. The north-side residents reported feeling more overwhelmed by life in the near recent past. Although both north-side and south-side residents did not feel strongly that they could recognize stroke, the south-side residents felt more confident than the north-side residents. Researchers sampled whites, blacks and Hispanics equally on both sides of the city. While the neighborhoods shared similar levels of stroke knowledge, perceptions and attitudes differed by geographic regions in the city. 23.5 percent were more likely to avoid calling 9-1-1 for fear of costs, compared to 4.5 percent of north side respondents. There were more respondents who felt that immediate hospital care did not necessarily improve stroke survival or recovery. More felt hospitals covered up mistakes. Despite this, more felt doctors were honest, took the time to explain medical care and treatment, and treated black and white patients similarly. These perceptions may be strong barriers preventing people with stroke symptoms to go to the hospital early, said senior study author Shyam Prabhakaran, M.D., a neurology professor and stroke research director at Northwestern University in Chicago. This research is part of a larger ongoing study – Community Engagement in Early Recognition and Immediate Action in Stroke (CEERIAS) – to reduce disparities in care and improve early hospital arrival for stroke patients in Chicago. Stroke treatment is time-sensitive, and every minute delay in getting to the hospital can make a difference in outcome, said Sarah Song, M.D. Ph.D., MPH, first study author, co-investigator of the CEERIAS study and assistant professor of cerebrovascular disease at Rush University Medical Center in Chicago. It is critical that people call 9-1-1 instead of driving to the hospital, Song said. Although this research focuses on Chicago, it may also be applicable to other urban minority populations in the United States. However, this study’s sample size was relatively small and may not be representative of all Chicago residents. The study also did not include all possible barriers to stroke awareness and action. Co-authors are Soyang Kwon, Ph.D.; Erin Wymore, M.S. ; Namratha Kandula, M.D. ; Jen Brown, M.S. ; Amy Eisenstein, Ph.D.; Christopher Richards, M.D., M.S. ; Maryann Mason, Ph.D.; Heather Beckstrom, B.A. ; Peggy Jones, B.A. ; Knitasha Washington DHA, MHA, FACHE; and Neelum Aggarwal, M.D., M.S. Author disclosures are on the abstract. The Patient-Centered Outcomes Research Institute funded the study. Note: Scientific presentation is 6:30 p.m. Pacific Time, Wednesday, Jan. 24, 2018. 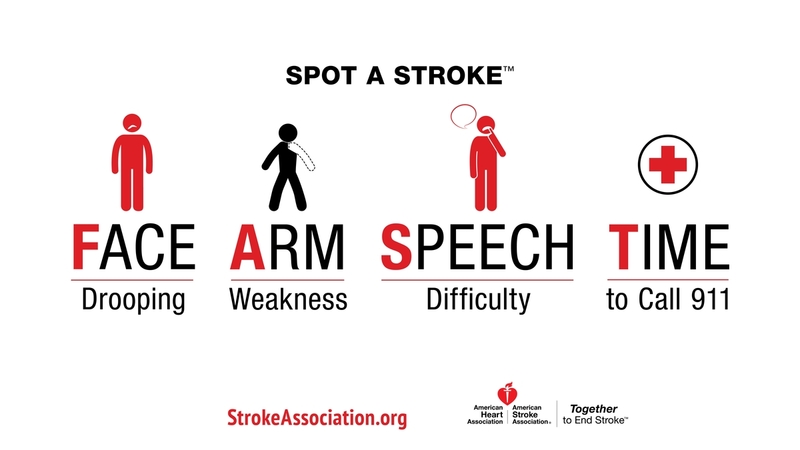 Learn the stroke warning signs, visit F.A.S.T. 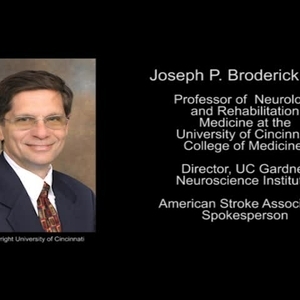 American Stroke Association spokesperson, Joseph Broderick, M.D. offers audio perspective on ISC 18 presentation WP175. 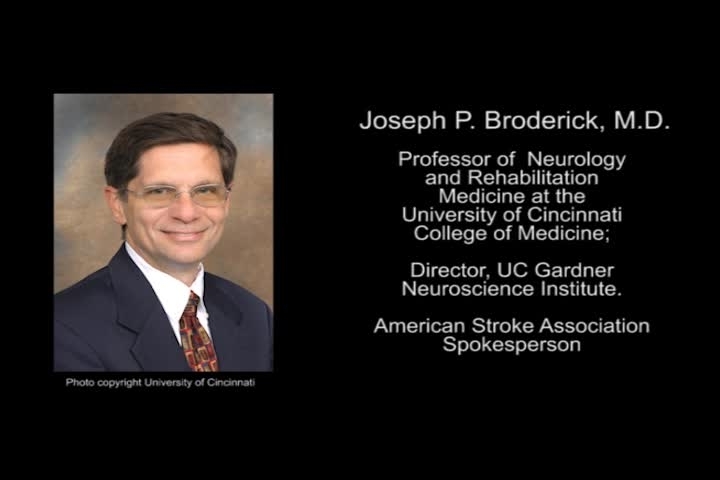 He is Director at the UC Gardner Neuroscience Institute, professor of Neurology at the University of Cincinnati, and Albert Barnes Voorheis Chair for the Department of Neurology at the UC College of Medicine.